It's getting to be almost that time again when we break out the champagne. I actually quite like using it in cocktails although any sparkling wine works the same way. When a drink calls for fizz, why settle for flavorless soda when this adds so much more. 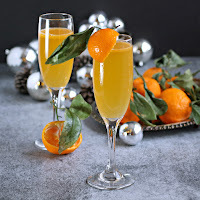 So even though it's traditional to drink champagne straight on New Year's Eve, I like creating a special cocktail. 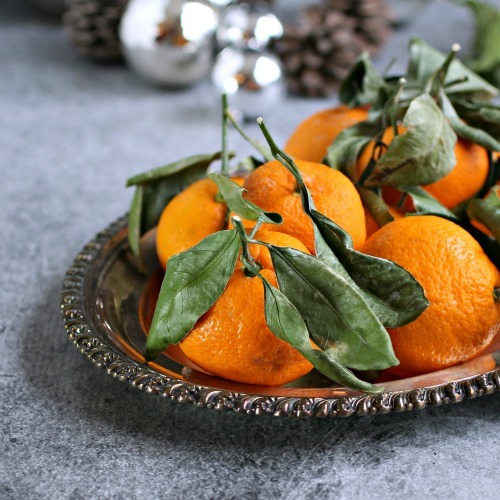 My market is filled with wonderful winter citrus like satsuma and blood oranges, clementines and tangerines. The satsuma is milder than a regular orange (and also much easier to peel). 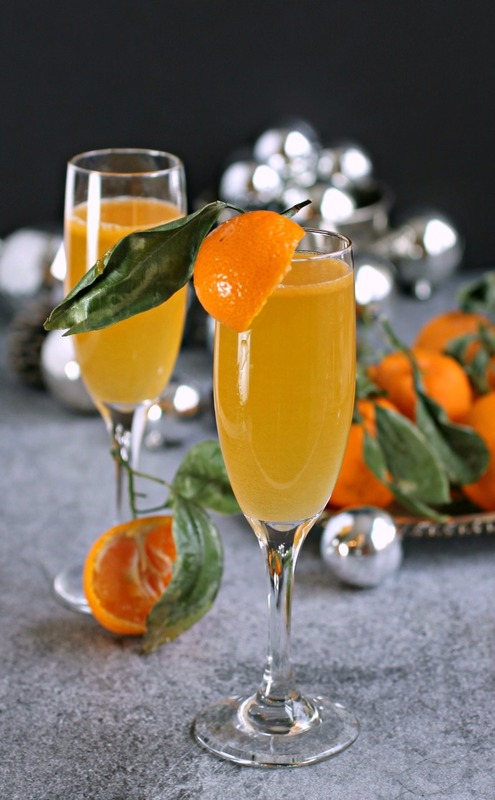 But just that juice mixed with champagne seemed a little tame and more like a brunch mimosa. A little vodka for kick, though, triple sec for flavor and lime juice for balance turned it into a cocktail worthy of the special evening. The champagne I used was quite sweet so I didn't need to add any extra sugar. But if you're using one that's more dry, feel free to add a 1/2 oz. of simple syrup to even out the lime. Cheers! Add the orange juice, vodka, tripe sec and lime juice to a cocktail shaker. Fill with ice and shake well. Pour into chilled flutes and top with the champagne. What a gorgeous cocktail! I am loving all the citrus in the markets right now, and this is the perfect use for it! Cheers to you Anita! I wish you a very happy and prosperous New Year!